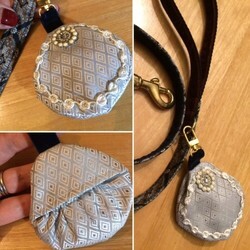 Wolfgang Amadeus Mozart inspired harness. 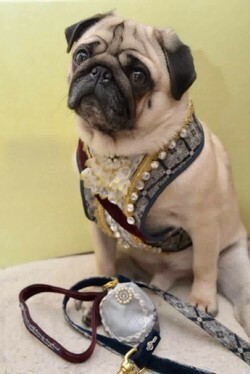 This example was made for Mozart, a ring bearing Pagepug. 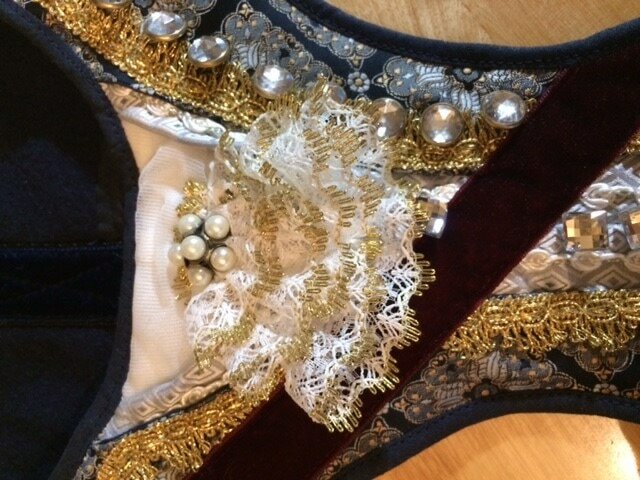 Vintage fabrics and buttons, together with a gold tinged neck ruff and velvet sash.